Pretty much everything goes for him when it comes to meat: bacon, sausage, ham, meatballs (oh, he loves meatballs), “Chicken Bones” (also known as drumsticks), chicken strips, steak of all kinds. And fish . . . 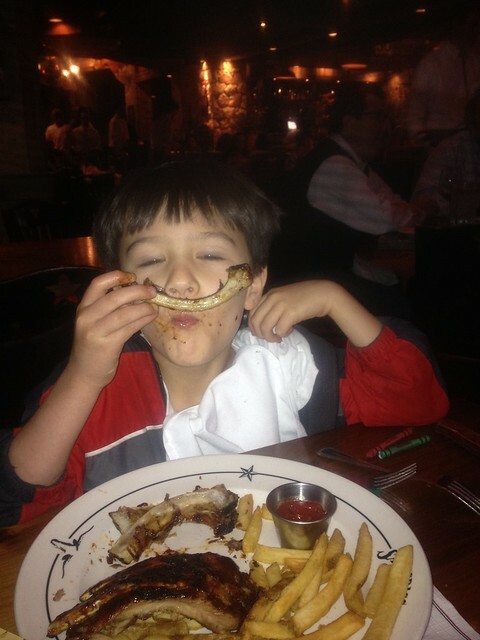 But his favorite lately has been ribs, we call them “Rib Bones” . . . 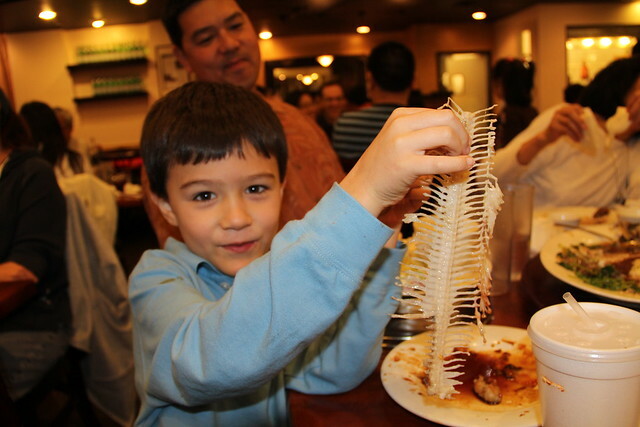 This was kind of a “Rib Bone” feeding frenzy. People in the restaurant were starting to stare. Embarrassing. Our son does eat fruit too, but if someone told him he had to become a vegetarian, I believe he would just dry up and disintegrate. His sister really likes vegetables and “lettuce salad.” Hallelujah. This entry was posted in Family Fun and Togetherness, Humor, Twyla's Twins and tagged Carnivore, Meat, Meat Eaters, Photos by Twyla Lively. Bookmark the permalink. Not to mention meat by-products! Yeah, Hubby, those too. Hot dogs. Baaad Mommy and Daddy. Love that Boy and his Sister!! Thanks Uncle T. They love you too!